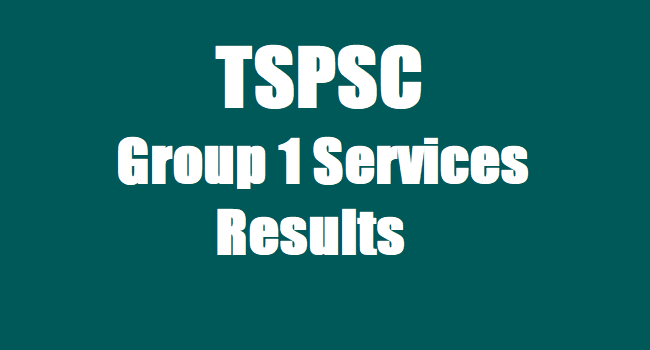 TSPSC Group 1 Services Results/ Selection list Final Results, Group I Results/ TSPSC Group 1 Services Results ,Group I Certificates Verification Schedule. It is hereby notified that in compliance of the orders of Hon’ble Supreme Court dated 07/10/2013 & 20/01/2014 in Civil Appeal Nos. 9140-9141 of 2013 and in I.A.No.1/2016 in CONMT.PET(C) D 26349/2015 in C.A.No.9140/2013,dated 29.06.2016, on Group I Services Recruitment, issued in the combined state of A.P. vide Notification Nos. 15/2011 (Limited) & 18/2011(General Recruitment), on the basis of the Main (Written) Examination held from 14/09/2016 to 24/09/2016. FN at Hyderabad, the candidates with the following Register Numbers have been provisionally admitted for Verification of Certificates and after verification of credentials in Original, provisional list of eligible candidates for Interview (Oral Test) in terms and conditions of above Notifications will be announced consecutively. It is hereby informed that the provisional selection list of the candidates published on 28/10/2017 for appointment to the posts falling under Group-I Services (General) Recruitment of Notification No.18/2011 has been withdrawn and treated as cancelled by the Commission due to technical reasons. The revised list of Registered Nos. of candidates selected provisionally for appointment to the posts falling under Group-I Services, in Notification No.18/2011 along with 15/11Notification, on the basis of Conventional type (Mains) Examination held from 14/09/2016 to 24/09/2016 & Personality Assessment Test (Interview) held from 24/07/2017 to 10/08/2017, is kept in the Commission’s Website www.tspsc.gov.in and displayed on the Commission’s notice board. Appointment orders shall be served by the appointing authorities concerned. It is to notify that, the provisional selection list of the candidates published on 28/10/2017 for appointment to the posts falling under Group-I Services (General) Recruitment of Notification No.18/2011 has been withdrawn and treated as cancelled by the Commission due to technical reasons. 15/2011(Limited) subject to the following conditions. 1) that success in the examination confers no right to appointment unless the appointing authority is satisfied after such enquiry as may be considered necessary that the candidate having regard to his/her character and antecedents are suitable in all respects for appointment to the service. appointing authority in accordance with the Rules/Notification. 4) the selection to the said posts is subject to the outcome of W.P. No. 24311 of 2017, pending adjudication before Hon’ble Courts of law. If any changes occur in this selection on implementation of court orders, the same will be carried out further. If it comes to the notice of the Commission at a later date that any candidate furnished false information or the selection is not in order due to any act of omission or commission of any candidate, then his /her provisional selection is liable to be cancelled at any stage and he/she will forfeit all consequential benefits including that of selection, besides that the Commission reserves the right to take any action as it deems fit in the circumstances of the case, in terms of the various provisions as notified in the Notification Nos.18/2011& 15/2011. Note: Reservation to BC-E group will be subject to the adjudication of the litigation pending before the Honourable Courts of Law. Note: 121 vacancies have been filled out of 127 vacancies in the Group-I Services, Notification Nos. 18/2011 (General). 2 – (VH ) and 4-(HH) vacancies are kept vacant due to non availability of eligible candidates. In continuation of the list of candidates provisionally admitted for Verification of Certificates for Group I Services Recruitment, Notification No.18/2011(General Recruitment) published on 01/06/2017, the candidates with the following Register Numbers have been provisionally admitted for Verification of Certificates and after verification of credentials in Original, provisional list of eligible candidates for Interview (Oral Test) in terms and conditions of above Notification will be announced consecutively. The verification of Certificates is scheduled on 12/07/2017 at Commission’s Office from 10.30 AM onwards. The candidates are directed to visit Commission’s website www.tspsc.gov.in for Memo and other details. 2. The verification of Certificates is scheduled on 15/06/2017 & 16/06/2017 from 9.00 AM onwards at Indira Priyadarshini Govt. Degree College for Women, Beside Board of Intermediate, Nampally, Hyderabad. 3. The candidates who are called for Verification of Certificates are required to produce the certificates mentioned in the Memo which will be available in the Commission’s website. If the candidate fails to submit certificates with reference to the particulars furnished in the PDF (application form)/ Certificates, the candidature will be cancelled at any stage in the process of selection. The Commission reserves right to disqualify any candidate, if he/she is not found eligible for any reason. 4. The candidates are directed to visit Commission’s website www.tspsc.gov.in for schedule of Verification of Certificates and Memo from 03.06.2017. 5. In respect of posts of Deputy Superintendent of Police (Cat-2), Deputy Superintendent of Jails (Men), Divisional Fire Officer (Men), and Assistant Prohibition and Excise Superintendent (P.C.Nos.03, 04, 05 & 18) the candidates have to undergo a Medical Examination before the competent Medical Board at Hyderabad and also all the Disabled candidates have to undergo Medical Examination at respective Medical Boards. Certificate verification for Group 1 services will be held at Indira Priyadarshini Govt. Degree College for Women, Beside Board of Intermediate, Nampally, Hyderabad. Details of the documents required for verification can be found from the memo which will be available at tspsc.gov.in. Candidates must ensure that they must carry all the documents mentioned by them in the application form.